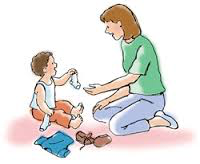 WHAT: The Hanen Parent Program, IT TAKES TWO TO TALK, is designed to help parents gain a better understanding of how children 0-4 develop language and to empower caregivers with useful strategies to help facilitate language development. 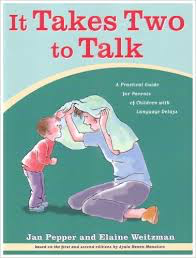 WHO: IT TAKES TWO TO TALK is for the parents/caregivers of children who have a language delay ranging from using no language to those who are beginning to use two word combinations. WHEN: Wednesdays, 7:00-9:00 pm / Light Refreshments will be provided! An opportunity to learn about the Hanen approach from a Hanen-certified Speech Language Pathologist. Information about whether this program may be a good fit for you, your child, and your family. An opportunity to meet other parents who may be sharing a similar experience. Please note that orientation is for parents only, and registration is required. Registration open and spaces are limited! See current flyer and brochure for further details and considering sharing with your colleagues, neighbors, and list serves.